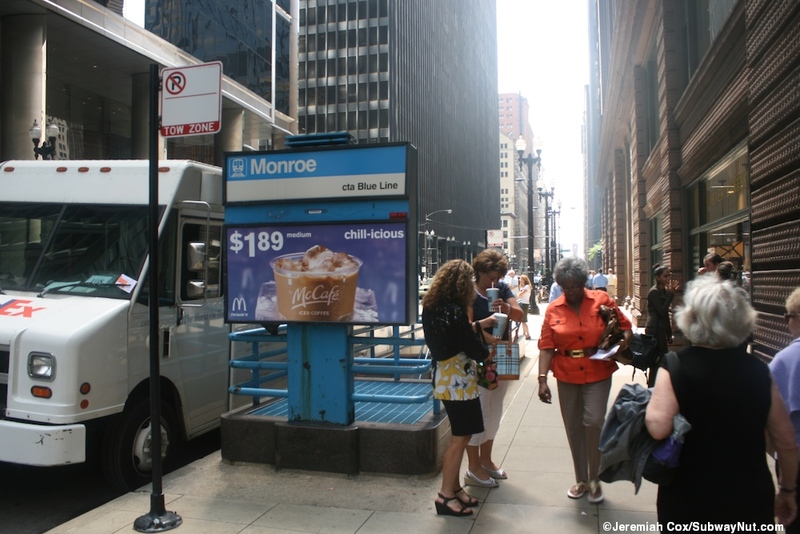 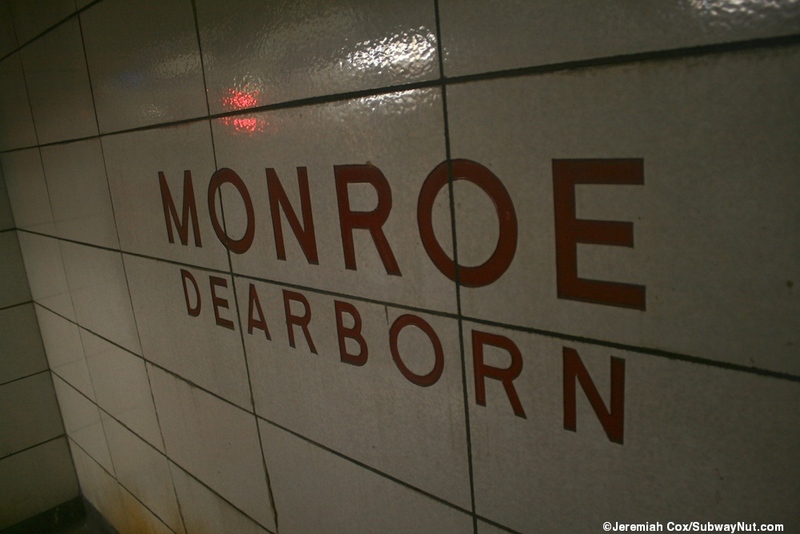 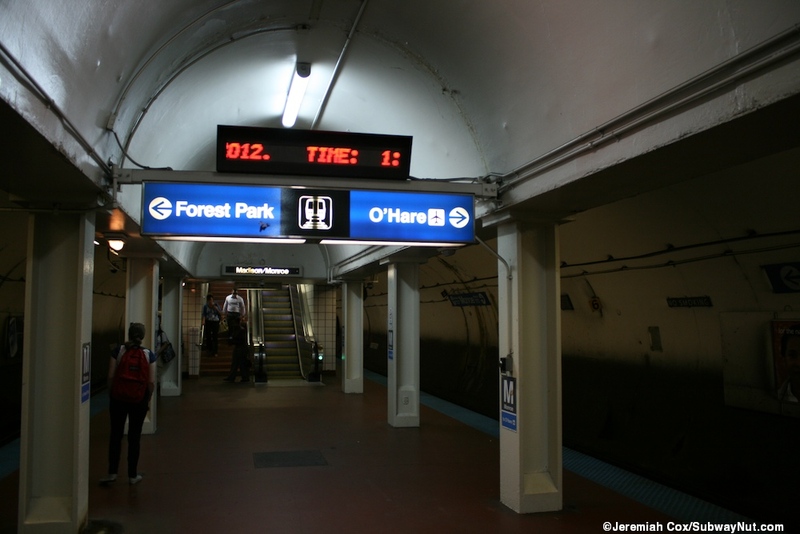 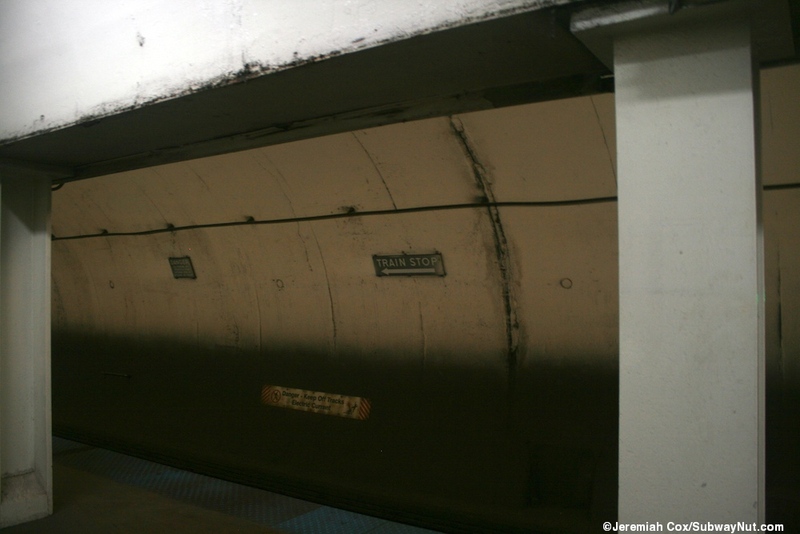 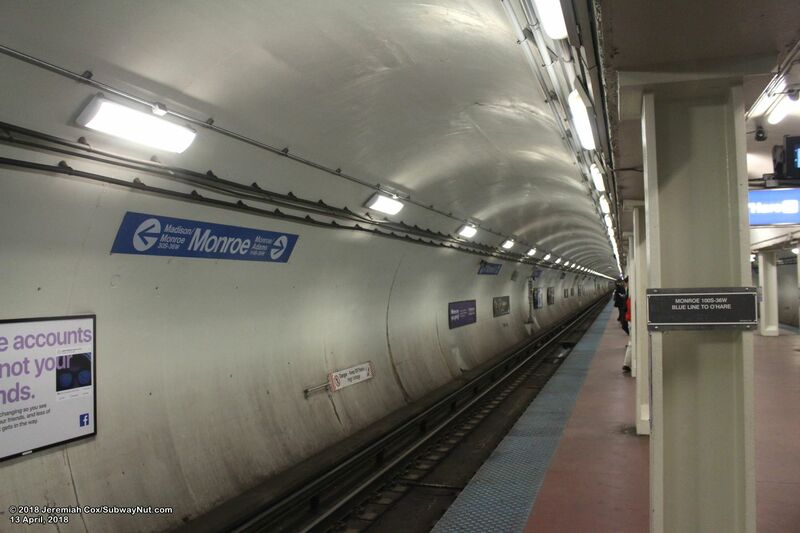 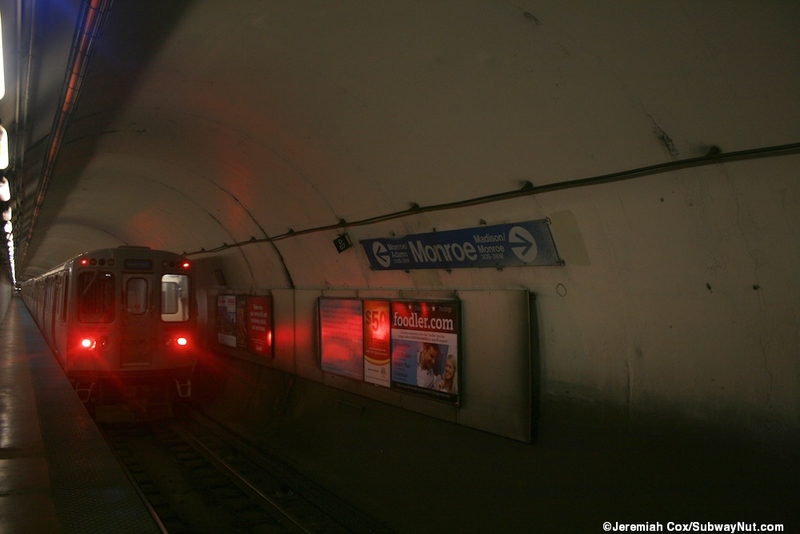 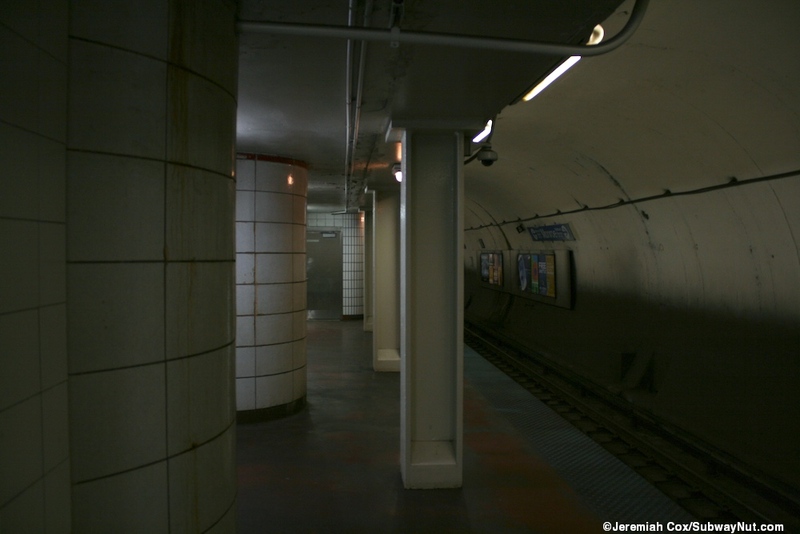 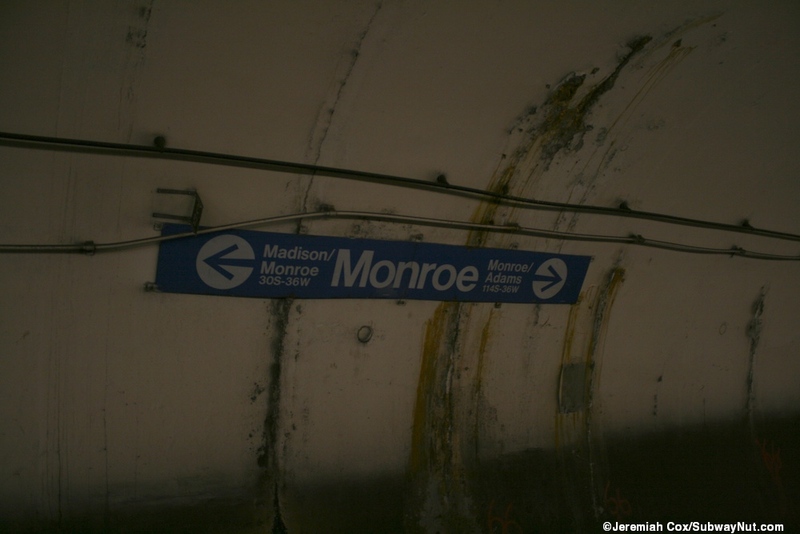 Monroe is the middle station of the continuous island platform under downtown Chicago on the Dearborn Street Subway that opened on February 25, 1951. 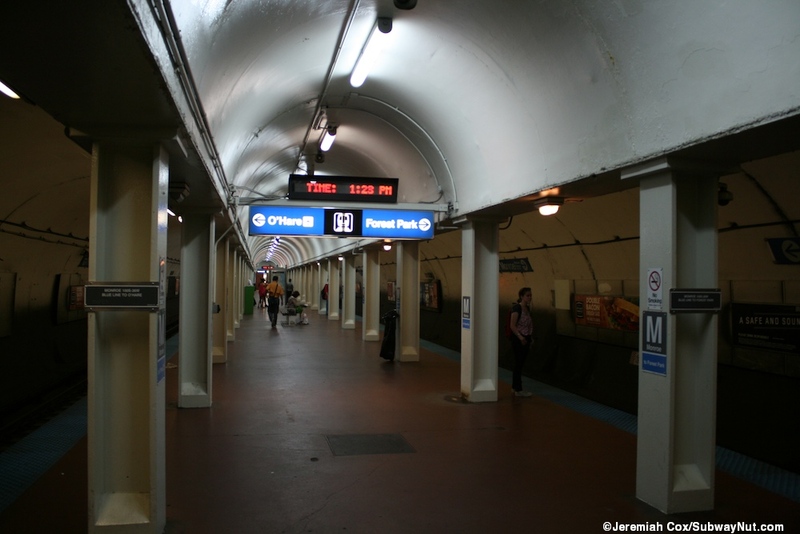 The station is unreovated since it opened, with the platform having dimy lit forescent lights in the cieling of the arched platform roof. 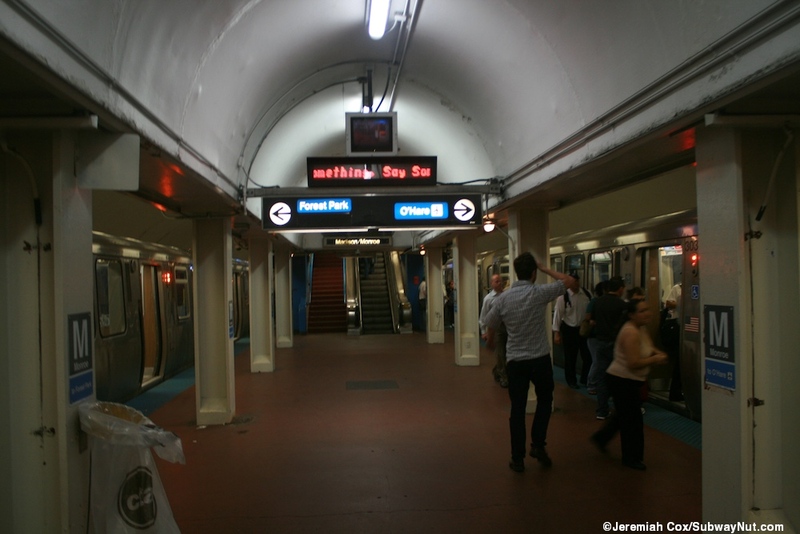 The station, like the others on the Downtown Chicago Subways has two mezzanines. 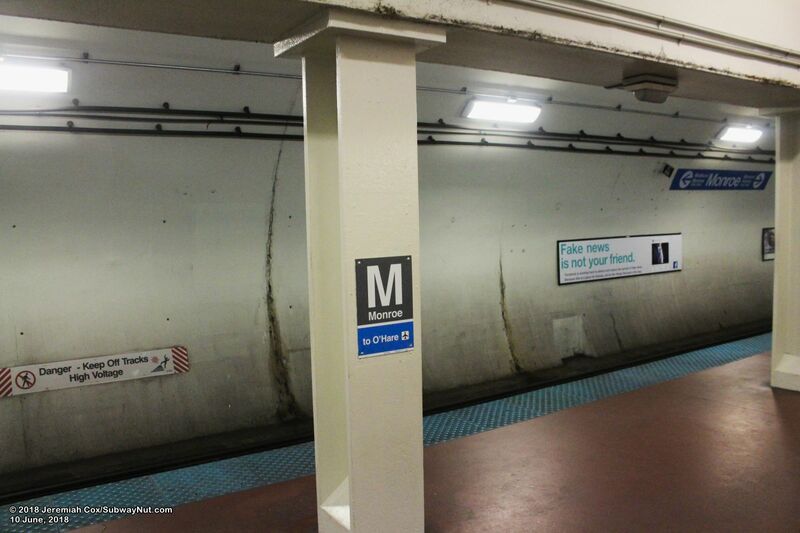 These each have a combined staircase/escalator towards the end of the stopping area for trains. 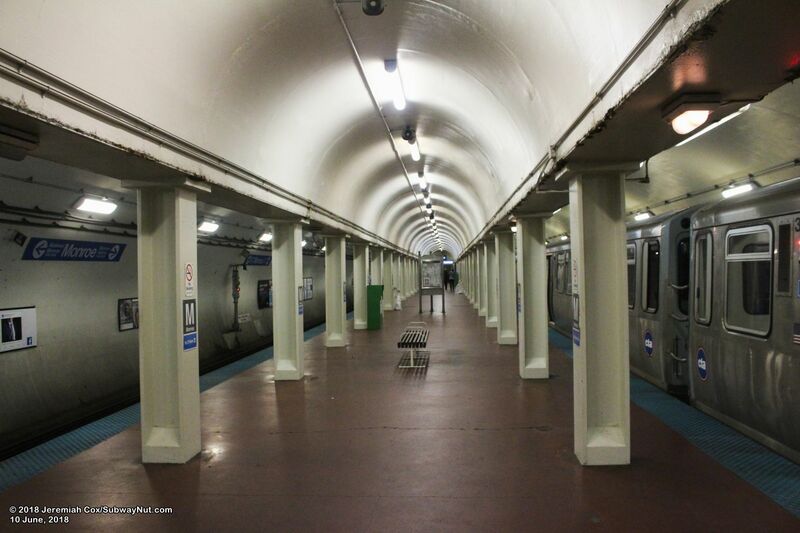 Each originally had a secondary combined staircase/escalator down to the long island platform between stations. 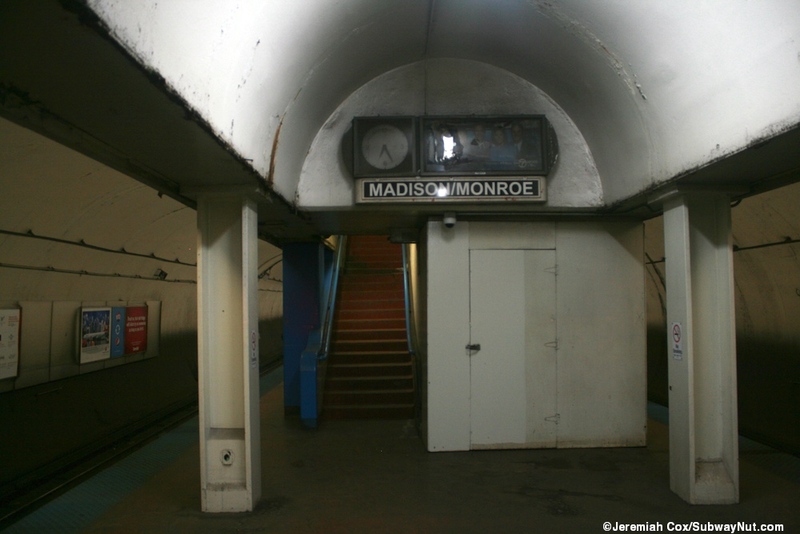 The secondary escalator up to the northern Monroe/Madison mezzanine has been covered in plywood, but passengers can still use staircase to reach a high exit only turnstile across from the main turnstiles. 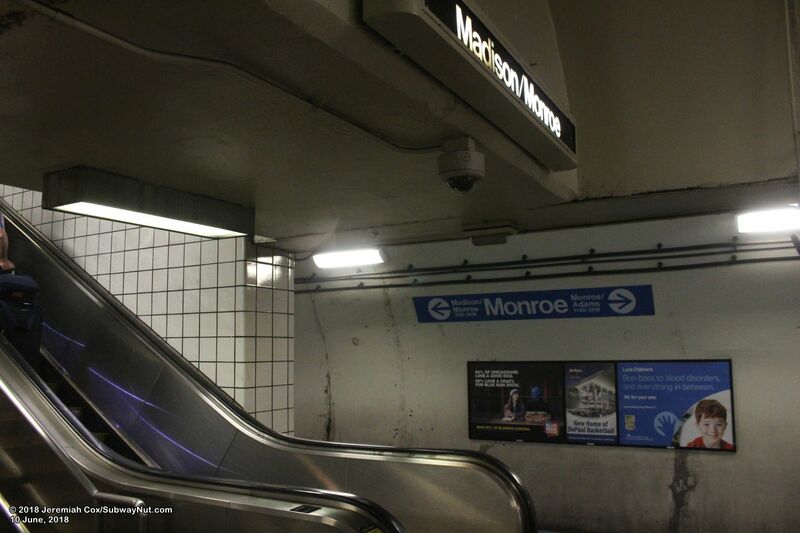 The former secondary staircase to the southern Monroe/Adams mezzanine has been sealed completely from the general public with no evidence (other than some doors) on the mezzanine and a sealed staircase behind fencing and then a metal barricade with closed signs. 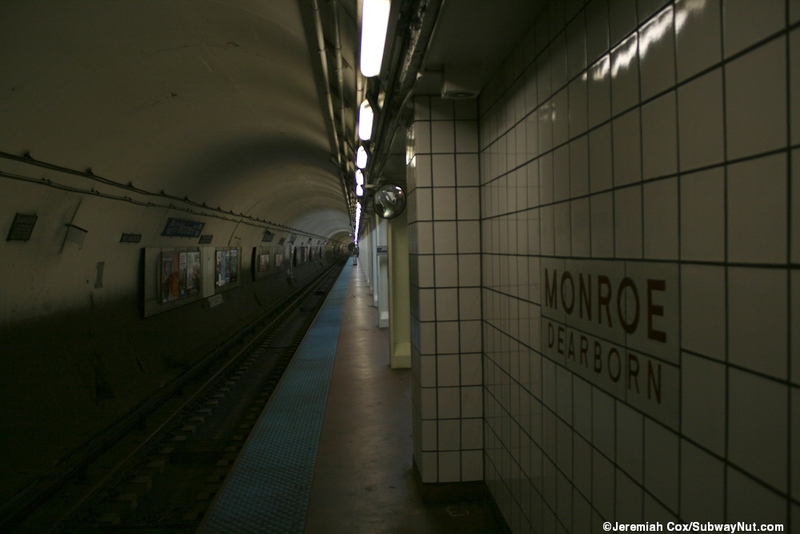 The Monroe/Adams mezzanine has four staircases up to each corner of Dearborn Street and Marble Place, a named alley. 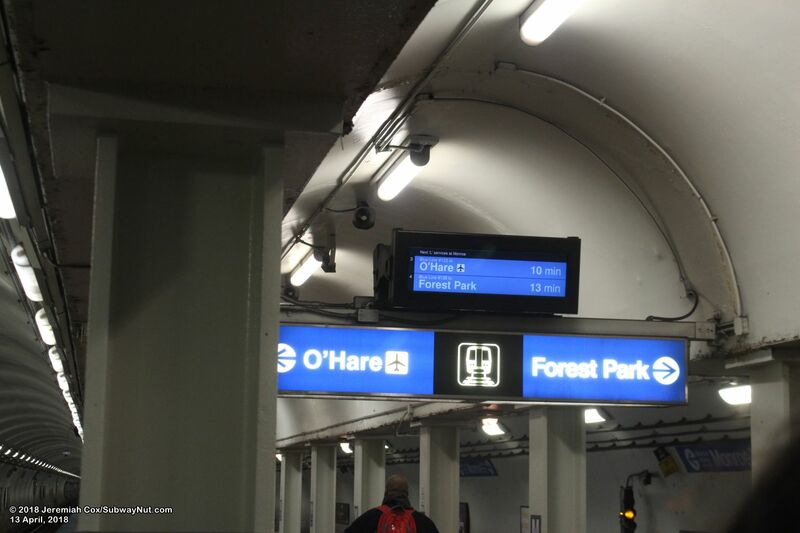 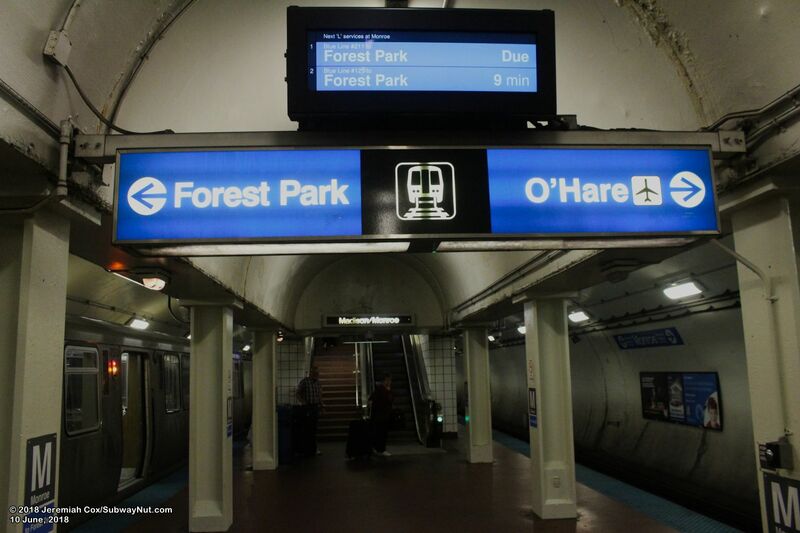 These are simple with blue railings and with a modern LCD display added for advertising and next train times. 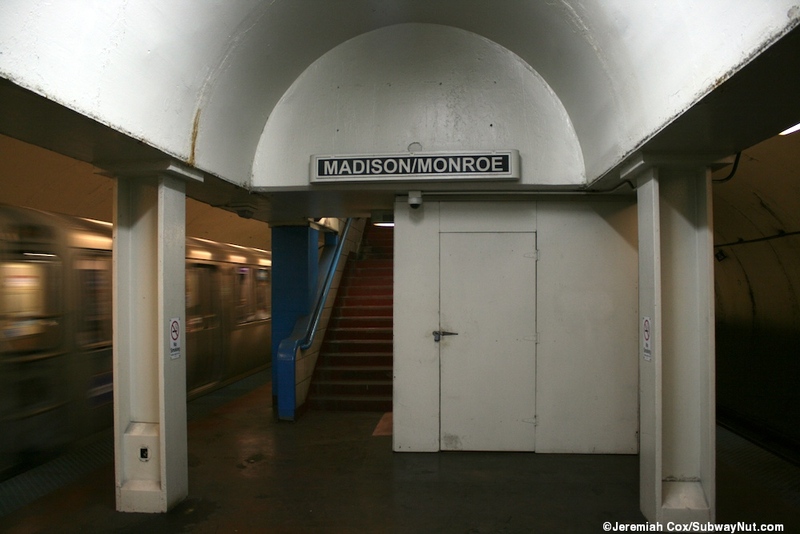 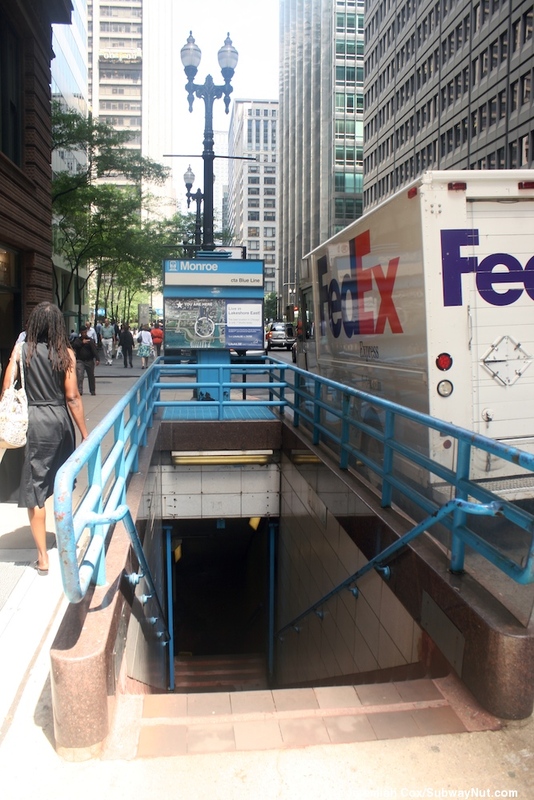 The Monore/Madison Mezzanine has two normal, simple saircases to the east side of Dearborn Street and a single staircase that's less well marked up to the middle of a plaza outside the First National Bank Building and Plaza that was built in the 1960s.